Embracing the ketogenic lifestyle hasn’t been entirely smooth-sailing for us over here. We did incredibly when we followed Drew’s Fit2Fat2Fit 60-Day Keto Diet plan. Ryan lost 14 lbs in a month, and I ended up losing 11. However, we backslid as his TDY to Rucker hit and PCS season kicked into high-gear. 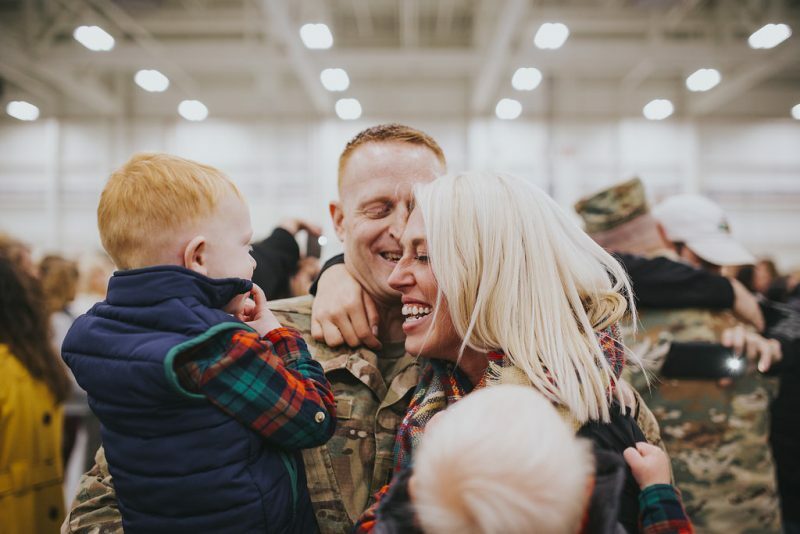 We’ve been focusing on it a lot more lately though, and the great thing is that there are so many resources out there – as well as products, if you’re not sure where to start. It can be daunting diving into a new diet, but I think the most important thing to remember with a keto diet is that it’s more of a lifestyle than an actual diet, per se. Ketosis is a metabolic state, and that’s the end goal. You want your body to use the fats you consume and hold for fuel, rather than simple fast-acting carbs. Easier said than done, right? Actually, wrong. It’s pretty easy, but it’s important to prepare yourself. First, empty out your cupboard. This is honestly the biggest trap for anyone embarking on a keto journey. You’ll be amazed just how much sugar is hidden in almost all the foods we consume. Get rid of those starchy pastas, the sugary snacks, and the quick-and-easy meals in a bag. Trust me, your body will thank you for it. Don’t worry though – there’s actually a lot of products on the market that allow you to still eat packaged food. Here are 5 keto-friendly products that you’ll want in your pantry when you start. This was an Instagram find of mine, and consider my mind blown. Since we found out that I’m pregnant, I’ve been on an all-sweets kick, which doesn’t mesh well with keto. With these low-carb keto snack cakes though, I get that delicious sugary taste I’m craving with, at most, 4 grams of net carbs. You can buy a 6-pack here on Amazon and thank me later. I know, I’m all over the bad-for-you food replacements, but these are great if you’re transitioning into a low-carb lifestyle and still tempted by the sweets out there. The Choc Zero Maple Syrup is divine, and if you’re looking for a low-carb, no sugar added treat, you definitely want to try the Keto Bark Almonds. 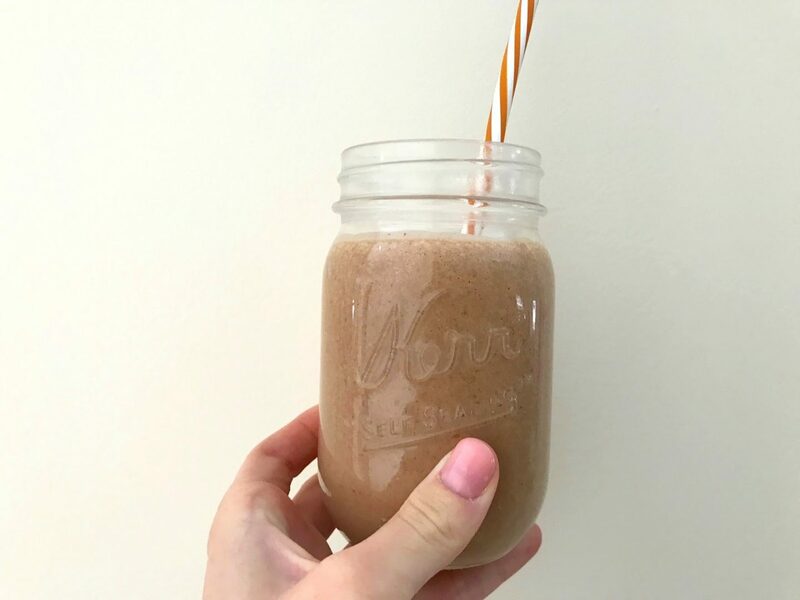 If you’ve been following our keto journey, you’ve probably seen that this is my go-to for our Keto Strawberry Shake and Keto Snickers Shake. When I first tried it, I was initially put off by the yellow-ish color, but I actually really love the taste, and it thickens shakes really well. 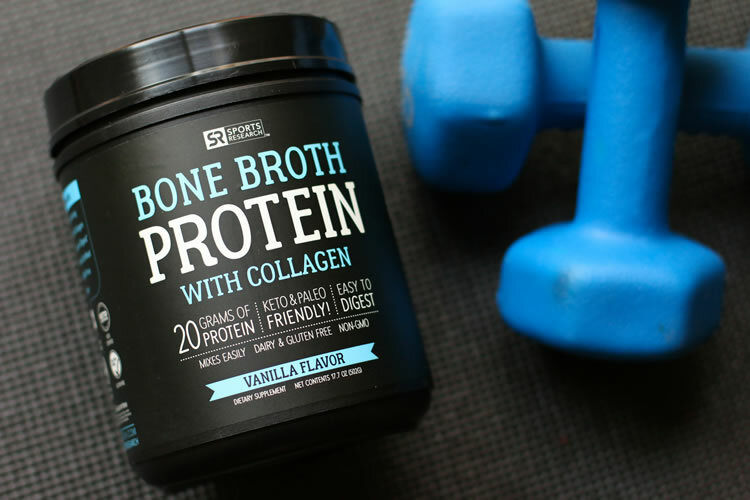 Plus, bone broth is a great asset for those on a keto lifestyle. 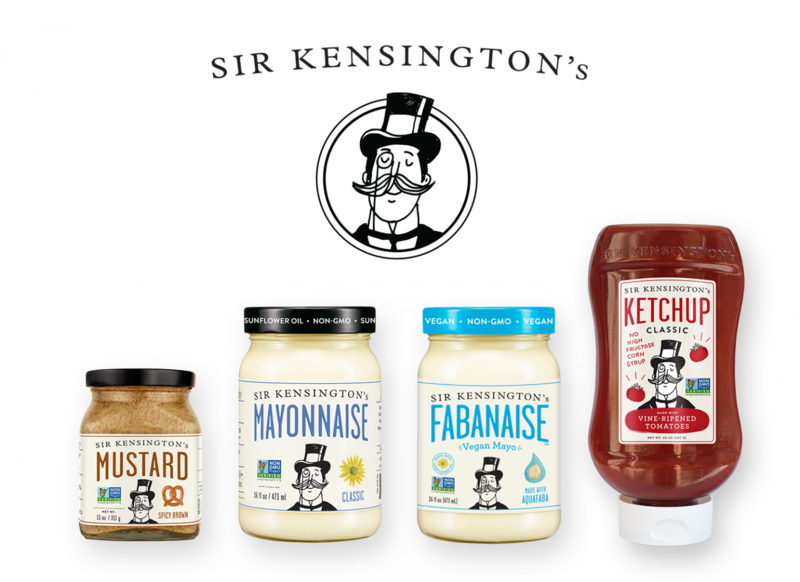 This awesome brand offers an amazing line of condiments ranging from mayonnaise to salad dressing, ketchup, mustard, and beyond. Many of these products have less than 1 gram of carbs per serving, which is huge on a keto diet. You can order them online pretty easily, too, which is definitely a plus. One of the biggest parts of a great keto diet – and one of the things we love the most – is coffee. You can find our Bulletproof Coffee Recipe here. I’m not going to lie though. I love sweet things, and sugary coffees used to be my jam. 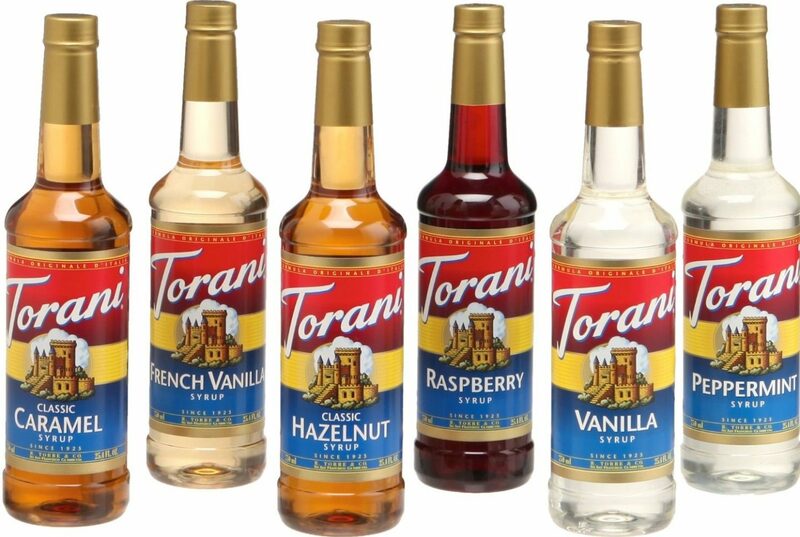 Torani Sugar-Free Syrups are available in so many flavors from Salted Caramel (our fav) to Pumpkin Pie, Vanilla Bean, and more. Honestly, all of these products have been a huge game-changer for me, and they’re delicious, too, which helps. 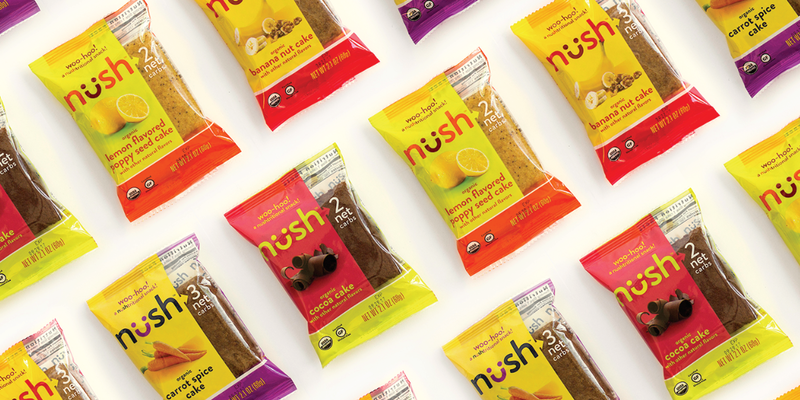 There are a lot of food manufacturers creating healthy sugarfree foods these days, so we’re definitely making a turn in the right direction. Have you tried any of these keto-friendly products? Which is your favorite, or which would you like to try?